A spokeswoman for SDG&E said the utility had no comment because it had not yet had a chance to review the filings. Community choice energy backers file for CPUC rehearing, say proposed exit fees are too high, by Rob Nikolewski, The San Diego Union-Tribune, November 19, 2018. The PCIA is an “exit fee” charged by the state’s investor-owned utilities (IOUs) to CCA and other departing load customers to compensate for electricity bought in the past at prices that are now above-market. The Commission is considering two proposed decisions on the PCIA. The first Proposed Decision (PD), crafted by an Administrative Law Judge after a year-long process, strikes a reasonable balance with respect to stranded cost recovery and provides an opening for long-term cost reduction for both CCA and IOU bundled customers. A commissioner’s Alternate Proposed Decision (APD), however, would result in significant PCIA rate increases for CCA customers, while protecting the returns of utility shareholders. “The APD would deal a devastating blow to the flourishing CCA movement in California, impairing CCAs’ abilities to accelerate the state’s decarbonization and economic justice policy goals and to better tailor electric service to meet the needs of local communities,” said Beth Vaughan, executive director of CalCCA. The APD contains a number of elements that would materially shift costs to CCA customers. Of primary concern is the APD’s inclusion of pre-2002 “Legacy” utility-owned generation (UOG) in the scope of PCIA-eligible costs. Doing so would place responsibility for new capital investment costs in these aging UOG facilities on CCA customers long after their departure, contrary to the Commission’s indifference standards and clear statutory directives. “It is the Commission’s province to apply, not rewrite, the law, and the final decision must exclude Legacy UOG from CCA customer cost responsibility,” CalCCA notes in its comments. The APD also removes the 10-year limitation on recovery of post-2002 UOG costs through the PCIA, ignoring prior Commission decisions, reducing utility incentives to prudently plan and manage their portfolios and subsidizing the ongoing operation of fossil fuel-fired power plants. Further, the APD “scrapes the bottom of the barrel” in proposing a flawed, short-term resource adequacy capacity benchmark to value the IOUs’ energy portfolio capacity, leaving CCAs no alternative but to procure in the short-term market to compete with the IOUs. Most critically, it would be impossible for the CCA to fund the types of services they were intended to promote, such as innovative electric vehicle programs, procurement of local premium resources or programs for low-income residents and disadvantaged communities, while staying competitive with IOU rates. CalCCA requests that the Commission reject the APD and adopt the Administrative Law Judge’s Proposed Decision, subject to the modifications proposed in CalCCA’s August 21 comments on the PD. 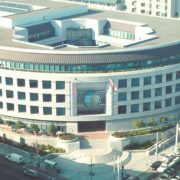 The association will be advocating today for a fair PCIA resolution during an all-party meeting at the CPUC. The Commission is expected to consider PCIA reform proposals onSeptember 27. The California Community Choice Association supports the development and long-term sustainability of locally-run Community Choice Aggregation (CCA) electricity providers in California. CalCCA is the authoritative, unified voice of local CCAs, offering expertise on local energy issues while promoting fair competition, consumer choice and cost allocation and recognizing the social and economic benefits of localized energy authorities. There are currently 19 operational CCA programs in California serving an estimated 2.5 million customer accounts in 2018.